India has the opportunity to put in place a new framework for its own security and growth, and that of developing countries around the world. Seventy-one years ago – on 15 August 1947 – India gained independence. Over the subsequent decades, the country has managed its evolution in an international system largely created and guided by the United States and its partners. While it was not easy for India to pursue independent domestic and foreign policies within this system, the American-led order was preferable to the British Empire from which New Delhi had liberated itself. Today, this global system is under serious threat. Washington, along with capital cities across the European Union, finds itself caught in a polarizing debate on the social contracts of its society – questions of domestic inequality and identity have left the US and its allies incapable of effectively championing the values of the international order. Simultaneously, the balance of global economic power has once again tipped in favour of Asia. Within this shifting global landscape, India has the opportunity to put in place a new framework for its own security, growth and development, and that of developing countries around the world. As a rising global power, this must be India’s principle endeavor in the coming decades. The extraordinary rise of countries in Asia has spawned at least two new dynamics. First, political boundaries – many of them colonial legacies – are steadily becoming more porous through economic cooperation. Markets are converging across the Eurasian landmass as well as facilitating the geo-economic “union” of the Indian and Pacific oceans. This has resulted in new integrative dynamics; as cultures, markets and communities aspire for development and new opportunities. Second, even though territorial considerations acknowledge economic linkages, political differences are still being reasserted – not just to contest the consensus of the past, but to shape a new order altogether. Asia is coming together economically but is also threatening to grow apart politically; market-driven growth in the region sits uneasily with a diverse array of political systems. China is, in large part, responsible for both. While offering a political vision that stands in sharp contrast to the “liberal international order”, China has been equally assertive about advancing free trade, raising new development finance, and offering a new model for development and global governance. The prospect of China using its economic clout to advance its own norms is worrying for India. Given the velocity of change underway, the challenge for India on its Independence Day is to shape an inclusive and equitable international order by the centenary of its independence. To achieve this, India must prepare to act according to its capabilities: by mid-century it must build the necessary state capacity, industrial and economic heft and strategic culture that would befit its status as a leading power. The country could present this as a model for much of the developing world to emulate, and anchor faith in the liberalism and internationalism of the world order. India, then, requires a “consensus” – a new proposition that will not only guide its own trajectory for the better part of the 21st century, but one that appeals to communities around the world. What then are the tenets of a “New Delhi Consensus”? First, India must sustain and strengthen its own trajectory of rapid economic growth, and show to the world that it is capable of realizing its development goals within the rubric of liberal democracy. No argument for the New Delhi Consensus can be more powerful and alluring than the economic success of India. By IMF estimates, India already accounts for 15% of global growth. Even though nearly 40% of its population live in various shades of poverty and barely a third are connected to the internet, India is still able to proportionately shoulder the world’s economic burden. Imagine the possibilities for global growth if India can meet, and even exceed, the Sustainable Development Goals (SDGs). States in the developing world yearn for replicable templates of growth, yet they find themselves with a binary choice between Western democracy, which is ill suited for deeply plural and socially stratified societies, and autocratic systems that have little room for individual freedom. 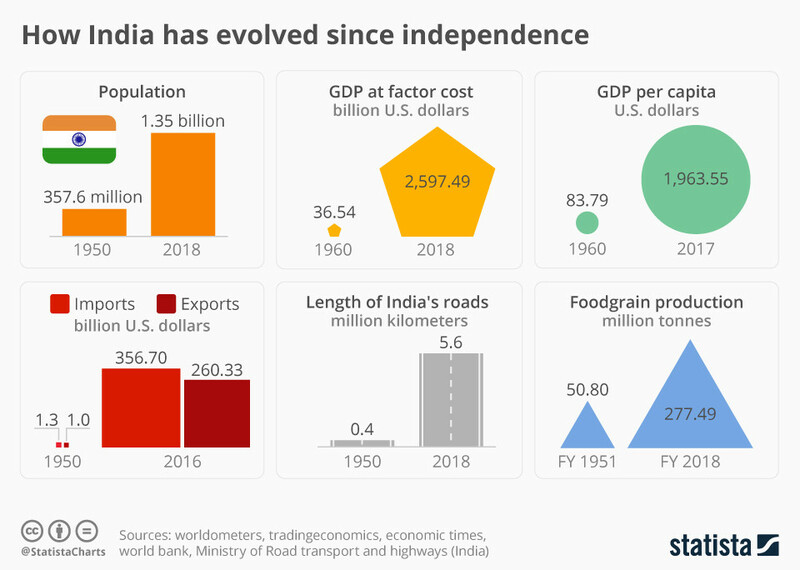 India, on the other hand has “emerged as a bridge between the many extremes of the world”, as former Prime Minister Manmohan Singh once remarked. India’s plural and composite culture, he said, was “living proof of the possibility of a confluence of civilizations”. The global 2030 development agenda, for the most part, may as well be a story of India’s domestic economic transformation and of its defence of diversity and democracy. Second and flowing from the above, Delhi must claim leadership over the global development agenda. It is worth pointing out that India sits at the intersection of the world’s two most dynamics regions, Eurasia and the Indo-Pacific. The largest bulk of development finance will emerge from, and be invested in, these regions. It is incumbent on India to ensure that this is not a new means to maximize political interference, but a moment to offer unfettered opportunities. In his recent address to the Ugandan Parliament, Prime Minister Narendra Modi affirmed that “India’s development partnership will be guided by [African] priorities” – a position that contrasts sharply with the West’s evangelical focus on governance reforms and China’s economic policies in the region. India’s recipient-led partnership framework will allow states to secure development pathways that are economically sustainable and politically acceptable. India now needs to articulate its intentions and the principles that will shape international development cooperation in the days ahead. Third, Delhi must create and protect the space for equitable and inclusive global governance. For too long, leadership in the international system was considered a free pass to monopolize the global commons. India has always bucked this trend, emerging as a leading power that has never tempered its idealism of “having an interest in peace, and a tradition of friendliness to all”, as one official put it. Whether it is on free trade, climate change or international security, India’s non-interventionist and multilateral approach is well suited to support and sustain global governance in a multipolar world: the new reality of this century. Finally, India must incubate a new social contract between its own state, industry and civil society. At the turn of the century, former Prime Minister Atal Bihari Vajpayee lamented that India’s democratic growth was held back by three failures: of the government to heed industry voices, of industry to appreciate the objectives of government, and of both in their commitment to the common individual. Nearly two decades later, the imperative for India to correct these failures is even greater. The spread of information communication technologies and global supply chains implies that businesses and civil society must be made equal stakeholders if India is to develop its own unique consensus. Not only will this add greater legitimacy to India’s proposition, it will also create natural and grassroots champions for the country around the world. For the first time since the end of the Second World War, a nation state that is wary of hegemonic tendencies and identifies itself with the equitable governance of the global commons is in a position to shape the international order. India is home to one-sixth of the global population and has sustained a unique democratic ethos and a foreign policy that is defined not only by national interest but also by solidarity with the developing world. As a leading power, India must look beyond raw indexes of economic, political and military might, and craft a consensus that is consistent with its ancient and historic view of the world. Where will future economic growth come from?